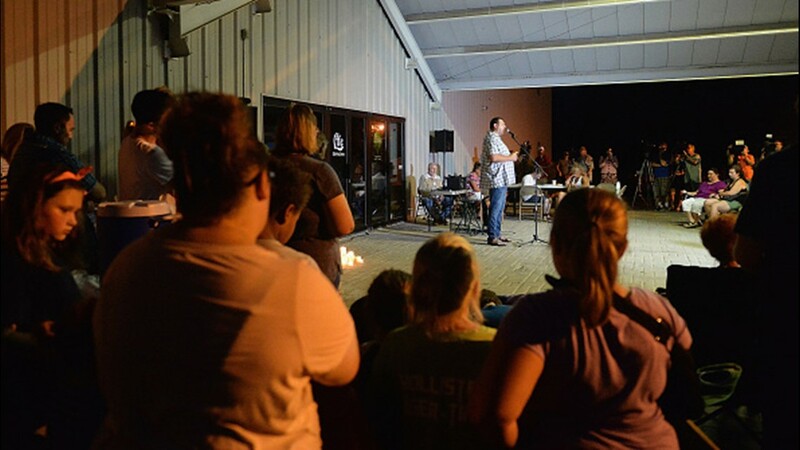 BRANSON, MO - JULY 20: Worshippers gather during a evening candlelight prayer vigil at Life Christian Center Church on July 20, 2018 in Branson, Missouri. 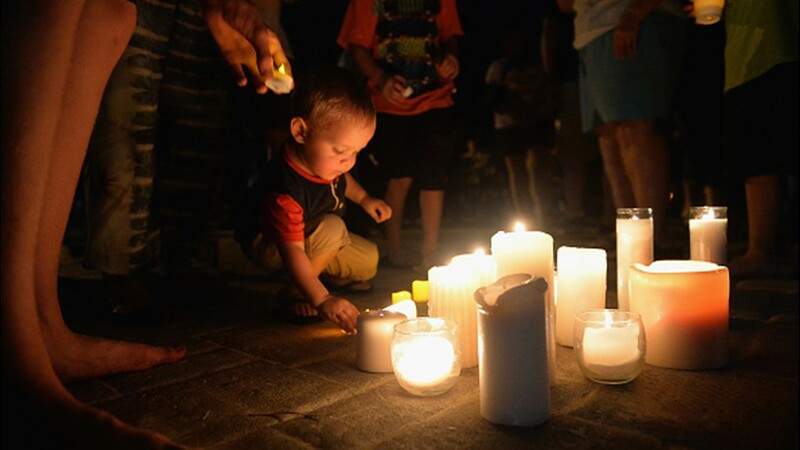 A child places a candle down during a evening candlelight prayer vigil at Life Christian Center Church on July 20, 2018 in Branson, Missouri. 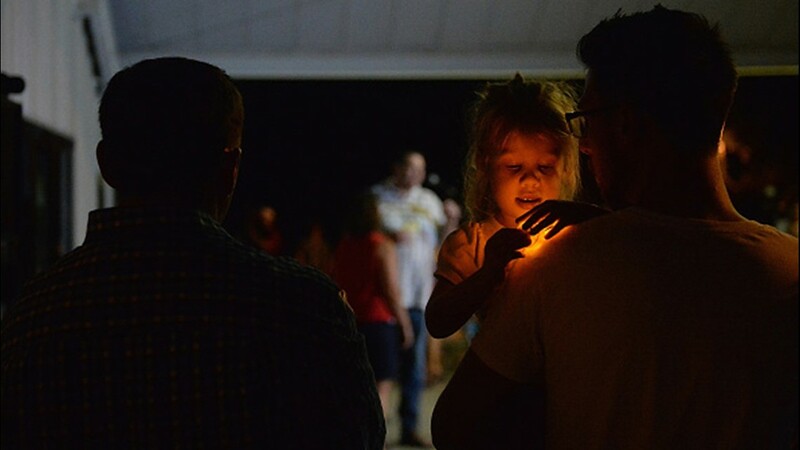 A young girl plays with a toy candle during a evening candlelight vigil at Life Christian Center Church on July 20, 2018 in Branson, Missouri. 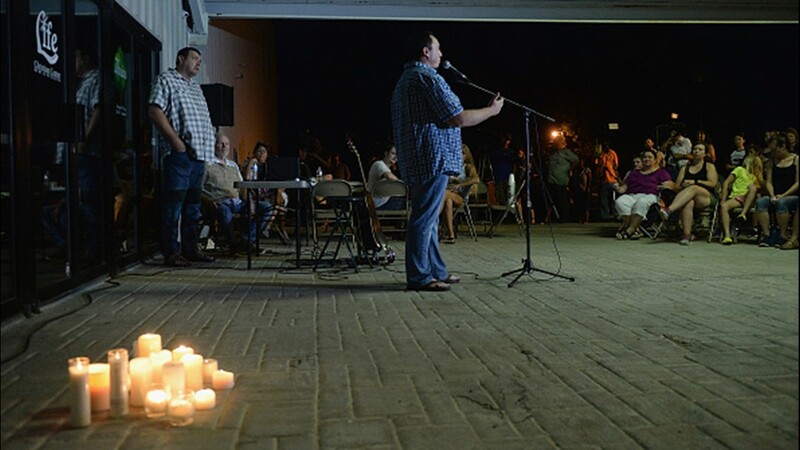 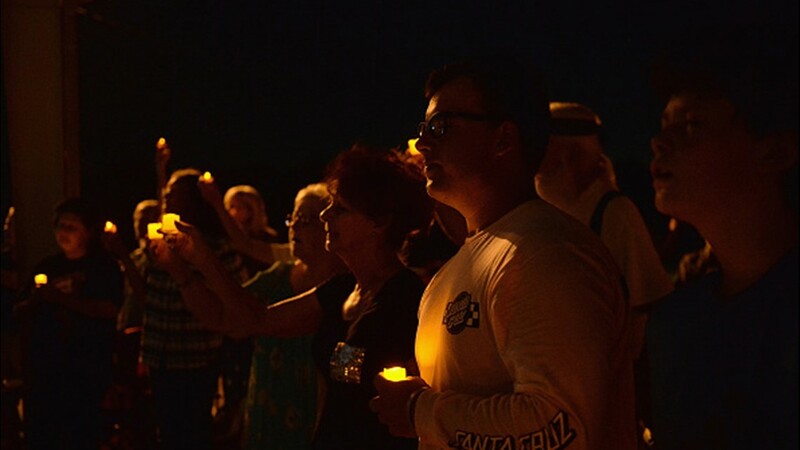 Worshippers gather during a evening candlelight prayer vigil at Life Christian Center Church on July 20, 2018 in Branson, Missouri.